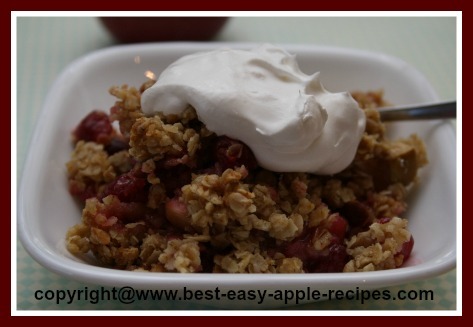 Cranberry Apple Crisp with Oatmeal - Delicious, Quick and Easy! 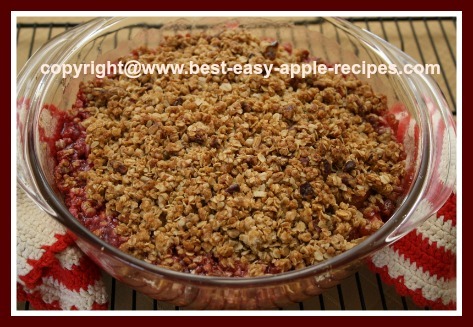 This Cranberry Apple Crisp with Oatmeal is so quick and easy to make for a warm dessert with apples! A perfect dessert idea for Fall! Everyone ♥ Loves apple crisps! This crisp includes basic ingredients that you probably already have on hand. 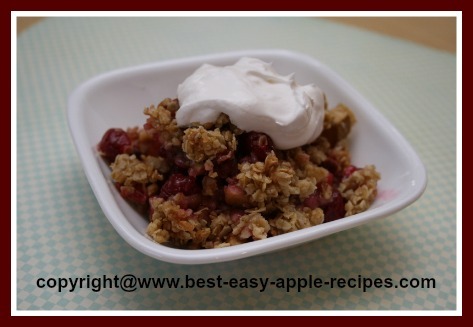 You can use fresh OR frozen cranberries for this crisp recipe, and use peeled OR UNpeeled apples. Combine the cranberries, sliced apples and granulated sugar in an 8" x 8" or a 9" x 9" square baking dish or a 2 quart casserole dish. Toss fruit and sugar to blend, and set aside. 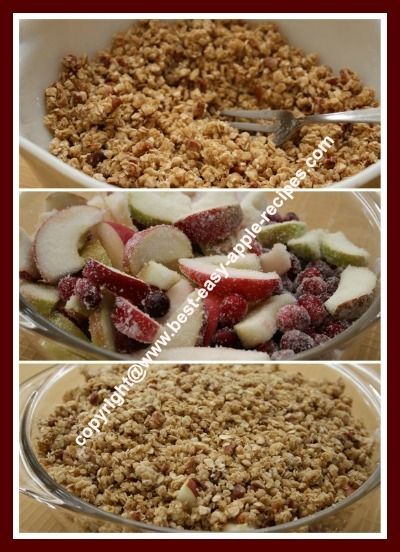 In a large bowl, combine the oats, brown sugar, flour, nuts and melted butter, until crumbly. Spread the topping mixture evenly over the fruit in the baking dish. Bake at 350° F for about 50 minutes, or until the topping is golden brown, and the fruit has begun to bubble. Best served warm with a dollop of ice cream or whipped cream. Also tastes very good served plain! Easy to re-heat in the microwave! 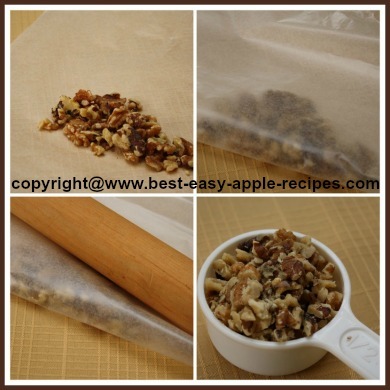 Place the whole nuts between a piece of folded waxed paper, or inside a sealable plastic bag, (see image below). Using a rolling pin, roll over the nuts! Quick and easy, and no mess cleaning up a blender used to chop the nuts!